CINCINNATI, Oct. 8, 2018 /PRNewswire/ -- The Kroger Co. (NYSE: KR) announced today a Zero Hunger | Zero Waste partnership with World Wildlife Fund (WWF), the leading global conservation organization, to introduce a food waste prevention and recovery curriculum for K-12 students in U.S. cities. Wild Classroom is WWF's signature education program and it is aimed at providing environmental curriculum for teachers and parents to use with students. Through the Kroger Co. Foundation's $400,000 grant support, WWF is expanding its food waste prevention and recovery curriculum within the Wild Classroom program, focusing on promoting food conservation education and best practices. Branded as the Food Waste Warrior Toolkit, the classroom-friendly curriculum aligns with USDA and state educational standards and turns the school cafeteria into a classroom to inspire students to become Zero Heroes by making a lifelong commitment to reduce food waste. "There is a fundamental absurdity surrounding the amount of food we waste and the number of people who go to bed hungry in America," said Jessica Adelman, Kroger's group vice president of corporate affairs. "It is essential that we teach children to recognize this disparity early on, and more importantly, what they and their families can do to be a part of the solution. WWF is a trusted partner in our Zero Hunger | Zero Waste journey, and we're optimistic the new Food Waste Warrior Toolkit will begin to incrementally transform households and communities across the country." An estimated 63 million tons of food goes to waste every year in the U.S., with 90 percent or more ending up in landfills. 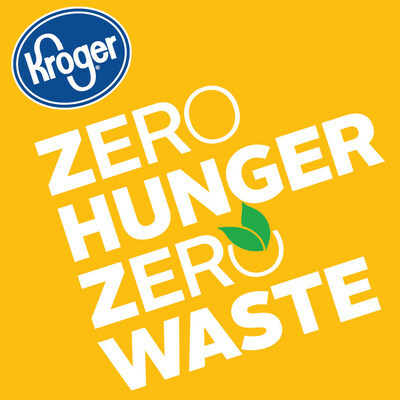 As part of its Zero Hunger | Zero Waste social impact plan, Kroger will act as the main funder for the Food Waste Warrior Toolkit, launching in Atlanta, Cincinnati, Columbus, Nashville, Phoenix, Portland, Salt Lake City, and Seattle. New cities will continue to be added to reach more students and educators. Last year, WWF led a pilot program in Washington, D.C. Students and teachers tested the Food Waste Warrior Toolkit to assess their food waste and the resulting impact on the environment. The inclusive curriculum spans across science, math, ecology, conservation, and sustainability—and is free for educators. "WWF and Kroger are uniquely equipped to address the complex issue of food waste and this program represents a call to action to get our kids thinking differently about food," said Pete Pearson, Sr. Director of Food Waste at WWF. "Our Food Waste Warrior Toolkit leverages resources like the USDA Student-Led Food Waste Audit guide and ultimately helps students become more aware of the connection between food waste and its impact on our habitat, wildlife and planet." If you are interested in partnering with The Kroger Co. Foundation and WWF to help present the Food Waste Warrior Toolkit curriculum to a school in one of the selected cities, WWF encourages you to submit your proposal here.